The title card was funny when the skier got hit by The simpsons logo. i liked the comedy spoof it was also funny when the playground ghoast was real. the cia gag. th eye scanner gag was hillarious. the Itchy and scratchy cartoon was good. It was funny when the brooms erased the dalmations spots. it was also funny when Walt disney’s brother got the message. The bear begging to come back into Donald’s house mad me laugh. Cast: Skip Hinett, Rita Moreno, Morgan Freeman, Jim Boyd, Judy Graubert, Luis Avolos. 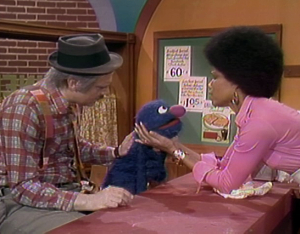 Grover makes a cameo apperence in this episode. 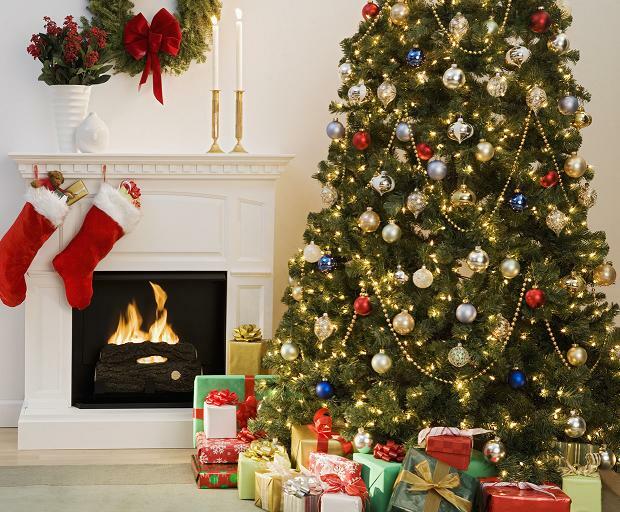 This year for Christmas I woke up and went down near the fireplace and found the gifts that Santa left for me. I received Simpsons DVD’s, a Simpson’s calendar and many other things. I spent the day with my family and we had a nice dinner together. The Simpsons go to a boardwalk carnival. Marge is home alone and changes the water heater. She finds a secret door in their basement that has a steam room. Homer is eating shish kabobs and burns his tongue on a stick that is on fire. He gets a cast on his tongue and when they remove it, everything hurts him due to the fact that his old taste buds were replaced by new ones. Homer is upset because he cannot eat anything. Lisa gives Homer food from the cafeteria, which has no flavor, therefore, Homer can eat the food. He goes to the cafeteria and embarrasses Bart, serving Jello because he had no money for his lunch and must work to pay. 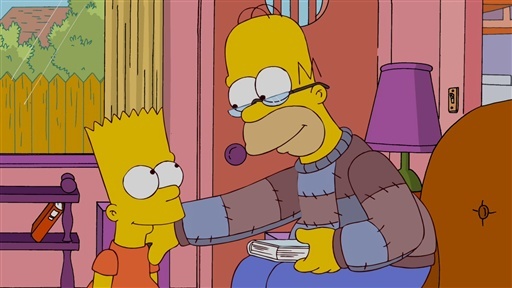 Homer meets a parent that hovers over her son (helicopter parenting). She points out to Homer that his kids will never be successful if he does not help them. Homer points out to Marge that if they both do not help their children, they will be failures. Homer tries the helicopter parenting and tells Bart to build the Washington Monument for the school contest. He also tries such parenting with Lisa, demonstrating reverse psychology on his friends (Toledo Takeback), to teach her how to become popular. Homer takes Bart to a hobby shop and changes the project to building Westminster Abby. Homer has Lisa throw a party with her new found friends. Homer has a bad dream while making the Westminster Abby and winds up smashing Bart’s model. Bart winds up winning due to the fact that his entry looked like a kid really did it. Bart admits that his father did it and tries to convince all the parents to stop with the helicopter parenting. Lisa also does not like what has been going on and gets rid of her “new life”. A funny part is when Homer throws himself with Lisa and Bart to the man to juggle. Marge’s steam room dream is funny. The janitor sweeping in the wrong kid into the classroom was also funny. When Homer pulls on the door that says push to get out and then breaks the window instead of pushing, it was silly. 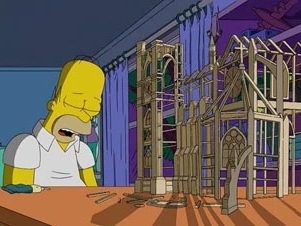 Homer sleeping while building the Westminster Abby model. The Simpsons are driving and pick up a hitch hiker. The episode then has a flashback to 20 years earlier when Homer and Marge are still dating and first meet Flanders. Then they flashback to only 5 years earlier when Homer and Marge’s car breaks down and they wind up at a party. Home begins to do the limbo with a woman he met at the party. Marge gets very jealous and upset and says she wishes she never met him. Back to the present time, the Simpsons arrive at Kozy Cabins. Then there is another flashback to when the Simpsons met Flanders. They are at the Kozy Cabins and Flanders makes them sleep separately. 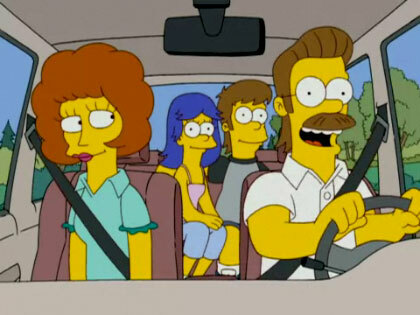 Flanders is on his honeymoon. Another flashback occurs to the time when Homer began talking to the other woman. Marge begins talking to a man she met at the party who takes her for a plane ride. Sylvia, the woman that Homer is talking to, tells Homer he does not need Marge. The man takes Marge to the same Kozy Cabins that they were at with Flanders. Homer also winds up there with Sylvia and Marge hides the man in a chest. Eventually, Homer puts Sylvia in the chest and Homer and Marge rekindle their past love. Then Sylvia and Umberto come (present day), and we find out that they were married. If it had not been for Marge and Homer introducing them, they would have never have met. With another flashback to Flanders honeymoon, we find out that Homer wrote Marge and Homer 4Ever on a tree and he finds it after leaving Marge. The tree falls while Homer is trying to take the carving back to save their marriage and the fall into a ravine together, and make up before the hitting the water. Bart and Lisa pick them up in a pedal car and they live happily ever after. When Bart is playing Cereal Killer and shoots the Captain Crunch look alike. Another part was when the toddlers Lisa and Bart are tickling their grandfather. It was also funny when Homer throws Sylvia in the box with the man. Another funny part was when the camping items wind up falling on Homer. When Flanders and his wife try to stop young Homer and Marge from interacting, I thought it was hilarious.